The consumerization of the workplace is here to stay, and it is transforming the way your teams work together. When I heard that July 17th was International Emoji Day, I have to admit, I initially thought it was a little bit silly. International Talk Like A Pirate Day, I can get behind, and National Margarita Day should occur once a quarter, in my opinion. But a day to celebrate emojis? What’s next? National Space Bar Day? The more I thought I about it though, the more I realized that emojis are just a small piece of a broader trend occurring in the way we interact with technology in and out of the workplace. That is, we expect our technology to be functional and human-like. This includes consumer technology like Amazon’s Alexa, as well as enterprise tools like the SaaS apps we use with our teams all day. As such, the enterprise stack is looking more like a consumer stack. Intuitive and beautiful UIs are now the norm, and emojis, gifs, and memes are all socially accepted forms of communication in the office of 2018. And if there’s one thing that developers and CIOs both know full well, it’s this: the way to improve the employee engagement with technology is by making it fun and easy to use. In the early days of the internet, Carnegie Mellon professor Scott Falhman noticed that there was a major risk for online conversations to turn sour rather quickly. That’s why in 1982, he posted in an online forum proposing using a few punctuation marks to make smiley or frowny faces to mark message as serious or funny in intent. Without realizing it at the time, he started a trend that would transform the way humans talk to each other through technology. In 1998, Japanese designer Shigetaka Kurita created the first standardized graphical emojis for use on cell phones (this original set is considered so important, it’s in the Museum of Modern Art). It’s hard to believe in this case that developers took almost 16 years to catch up with consumer practices. But in formalizing unicode emojis, the groundwork was laid for the consumerization of tech that still continues to this day. I can almost guarantee workers in your organization are using consumer-friendly tools to interact and collaborate at the workplace. At my company, it’s not uncommon for peers to express support for an idea with a high-five gif or a thumbs-up emoji. Likewise, a “head shake,” disappointed emoji, or gif might even be considered a polite way to break tension in expressing doubt or disapproval about work. If the adage that “a picture is worth a thousand words” is true, then these fun ways of communicating are also saving a lot of time. In addition to making teams more productive, they also help improve company culture. In Wrike’s San Diego office, it’s a daily occurrence to hear people laughing out loud when a colleague shares a meme in a digital chat - especially if they are making a joke about something funny that happened in the office. Through this hybrid physical/digital culture, we’ve developed a unique team of talented people who drive amazing results for the business while having a great time doing it. If the word “consumerization” gives you goosebumps, I feel your pain. But the reality is, workers are loyal to the apps that work best for them and will likely choose their own tools, regardless of what IT says. If you can’t beat ‘em, join ‘em. CIOs and IT departments must adjust their approach to introducing new technology into their organizations. Otherwise, shadow IT will grow in your business and potentially put your IP and customer data at risk. This demands a shift in mindset from CIOs and IT. It is now IT’s responsibility to establish a process that empowers workers to initiate the adoption of new tools and ensures they feel confident bringing them to IT for consideration. IT must then vet the tool or app for security standards and do their best to find a way to swiftly enable or deploy, assuming it checks all the security boxes, of course. This process must strike a balance between centralized and decentralized deployment with IT ensuring the new technology meets security requirements before delegating it department specific for deployment. Most importantly, this process must be quick and (at least appear) effortless for workers to ensure they are not tempted to sidestep IT and the formal process. They need to know that their input is valued and IT isn’t going to just dismiss their request, which was the case for many years and ultimately led to the Shadow IT issue that continues to plague organizations. If you’ve followed the technology news for the last few years, you’ve likely noticed that bringing more humanity and personality to the way we interact with each other through technology has been a priority of developers. In early 2016, Facebook pleased users by expanding the “like” button to include new options for love, anger, sadness, laughter, and wow. Apple took it to the next level in 2017 with Animojis, which replicate facial motions of iPhone users and even play back short audio messages. An even more impressive emerging technology is apps that reach out to us proactively with human-like interaction. Bots in apps like Slack or Messenger can be configured to help you book a flight or schedule a meeting. You interact with them through natural conversation, while behind the scenes, Artificial Intelligence (AI) is interpreting your ask and presenting you with helpful information. These are practical and valuable, but can also be delightful: if you tell Siri you hate her, you’ll get one of a few responses about how she’s sad to hear that, after all she’s done for you. In the workplace, these kinds of advancements are slowly creeping into our technology as well. Reaction emojis are quickly becoming normalized in collaboration tools, as is support for gifs - sometimes with search tools even embedded directly in the UI, so you can find that perfect Top Gun high-five when you need it. There are naturally some concerns about the consumerization of the workplace. Different cultures have different symbols, and some are not universally nice. This article on Workforce.com outlines the risk of “Harassment by Emoji.” While it’s not a major problem, it’s something employers should be aware of. Add memes into the mix, and there’s always a chance someone could cross the line at teasing a coworker, either inadvertently or intentionally. Despite all that, I believe it’s critical for enterprises to adopt technology that will fuel employee engagement and improve culture. 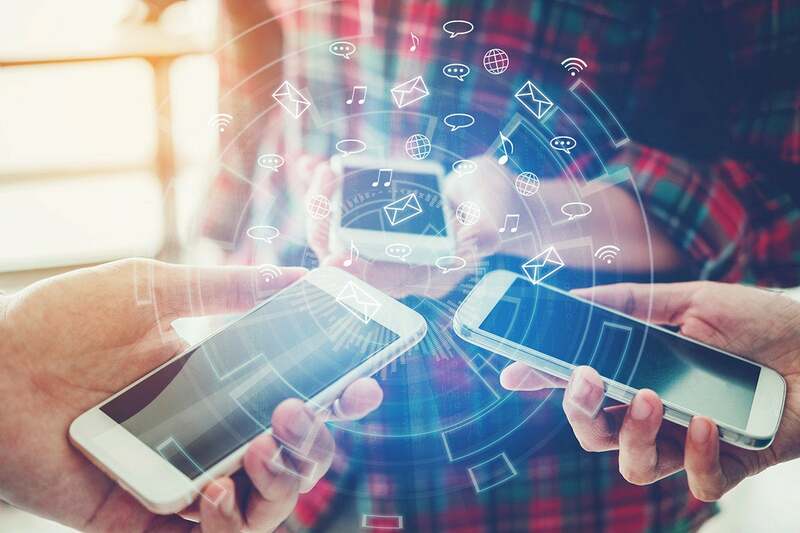 As millennials begin to dominate the workforce (and generation Z sneaks up rapidly behind them), it’s vital for technology to draw users in with a friendly and familiar experience. In a survey we conducted at Wrike, 49 percent of respondents said one of their biggest barriers to teamwork is “waiting on others to take action.” Perhaps we need to make more apps that users love to use so they’re inspired to get work done. So it’s safe to say my thoughts on International Emoji Day have evolved. Maybe it’s worth taking a moment to celebrate the evolution of the way we use technology and how it is improving the way we work together.